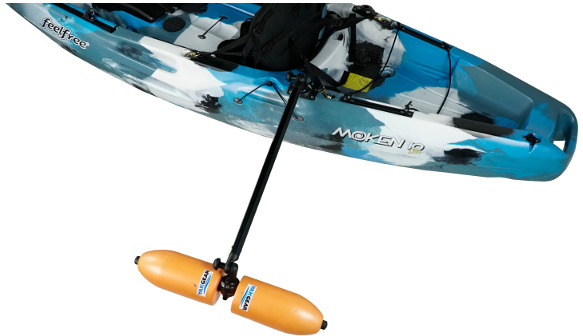 Feel safe and secure in the kayak due to the stabilizing effects of the YakGear Outriggers. Stability while paddling is a problem for paddlers of all skill levels. 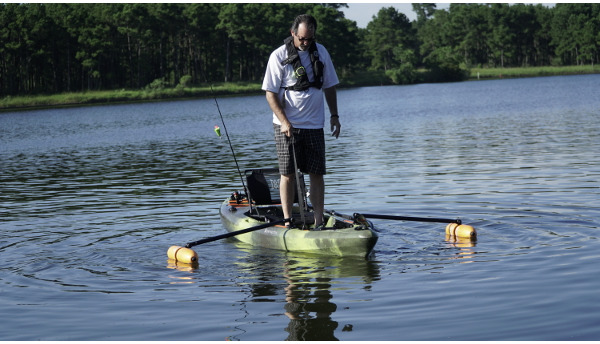 Whether you are sight casting in choppy water or paddling safely with the children, YakGear Outriggers provide an easy to install safety net for everything from rocking back and forth to toppling into the water. This set comes with a pair of outriggers, meaning one for each side of the boat. 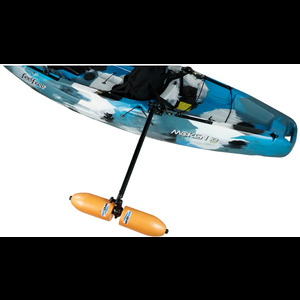 The adjustable outrigger arms are 30 inches long and will provide a float base roughly 22 inches from the port and starboard side of the boat. The boat side of these 30-inch arms is fitted into a RAILBLAZA StarPort mounted to the boat. During transportation, the Outriggers can be removed, leaving only the RAILBLAZA base. Installation placement of the outriggers is recommended in the front. This is due to a tendency to bump shafts in the back with paddles or fishing poles. 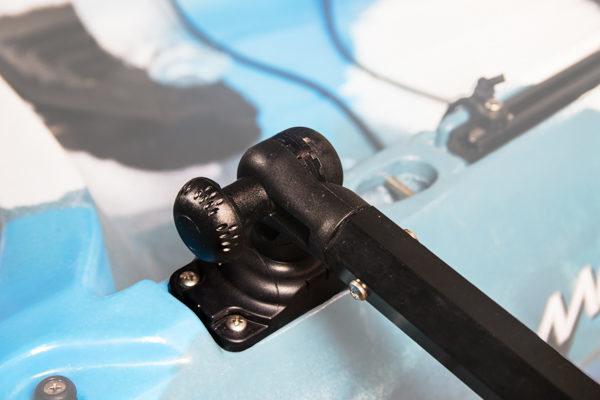 Frontal mounting also allows the outriggers to hover above the water while paddling because of the weight balance being primarily in the back of the boat. This outrigger uses standard size orange floats. 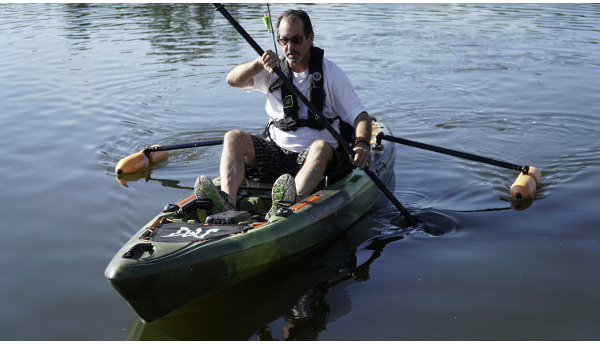 Standard floats are best for total weights under 350 pounds and offer an additional 60 pounds of buoyancy. As always, this complete kit comes with all stainless steel installation hardware, installation instructions, and rigging tips from YakGear. Waterproof silicone recommended, but not included.